Presented on March 10, 2015. 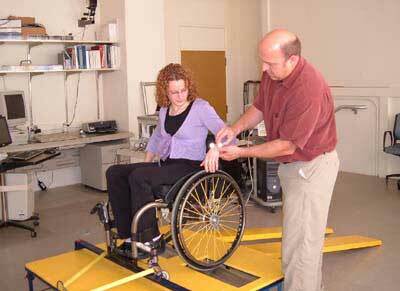 For many people with a spinal cord injury, it is necessary to have help with daily personal needs. 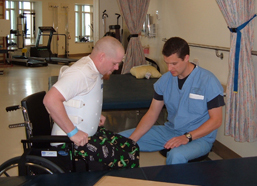 Sometimes a family member performs these tasks, sometimes a hired caregiver is used, and frequently it is a combination of both. People find themselves as caregivers for a variety of reasons. Some are thrust into the caregiver role because a family member needs help; others choose to become hired caregivers and provide personal care. In this forum video you will hear from a panel consisting of both family and hired caregivers about the challenges and rewards of caregiving, what makes for a good caregiver situation, and how caregivers handle the emotional and physical demands. 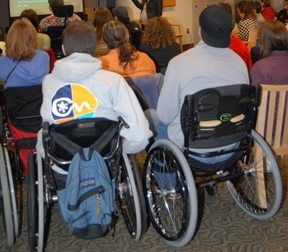 For a discussion of managing caregiving from the perspective of individuals with SCI who receive care, go to Managing Personal Caregivers: A Panel Discussion (2016). Presentation time: 75 minutes. After watching, please complete our two-minute survey. Thank you!